The Easter Bunny comes in April this year, so it seemed fitting to spend a little extra time this month on the subject of chocolate. Baskets will soon be brimming with the sweet treat－and no doubt parents will be “sharing” their children’s loot. But as far as I’m concerned, chocolate isn’t just for Easter…or Passover or Valentine’s Day for that matter. Of course, we often read about the health benefits of chocolate (and that we can eat it every day! ), but do the “healthy” chocolate bars actually taste good? I’m happy to report that I’ve done extensive taste testing and have named an official winner as well as a short list of runners up. However, before I get to my short list of favorite healthy chocolate bars, some chocolatey trivia seemed timely. It’s estimated that approximately 1 billion people eat chocolate every day. The average American consumes 12 pounds of chocolate a year while the average European consumes 15 pounds of chocolate a year. In 2015, however, the Swiss consumed approximately 9.1 kilograms — or more than 20 pounds — each. That’s the equivalent of eating 173 regular Snickers bars in one year. Chocolate in its raw form is the highest antioxidant food on the planet. Chocolate that is not processed is a whole clean food, not a candy, that contains beneficial compounds called flavonoids. Chocolate is known to increase serotonin and dopamine. Chocolate was once considered a “cure all” medicine for doctors who carried it in their little black bags when making house calls. Hu Bars: Certain holidays go hand in hand with chocolate, but I must confess that chocolate is an everyday indulgence for me. 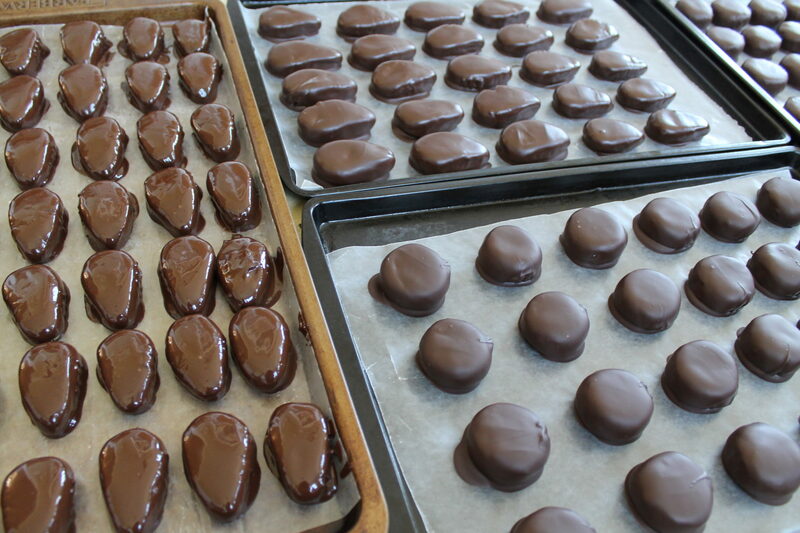 For locals, Evans Candy makes the most incredible Easter bunnies (dark, milk and white) using Wilbur chocolate. They simply can’t be beat. In order to reap the health benefits of chocolate, however, it should contain at least 70% cacao and little in the way of sugars and additives. I’ve been on a mission to sample the wealth of healthy chocolate currently flooding the market－tough job, I know! I’ve sampled “healthy” chocolate at several major food shows and have been…well…underwhelmed. Lately, I’ve read the ingredients on various bars at local grocery stores and markets, checked in with the employees who know what customers favor, and eaten a good bit of chocolate. Hu Chocolate (pronounced like the first syllable in the word “human”) is a hands-down favorite. As you can see on the label pictured below, it contains none of the bad stuff. The best part: sugars are a mere 8 grams for a generous half bar. With flavors like Crunchy Mint, Vanilla Quinoa Crispy and Salty Dark Chocolate, it’s fun to work through the varieties to see which you like best. I like how the addition of nut butter (like almond, hazelnut and cashew butter) in some of the bars seems to enhance the perceived sweetness. I just tried the Cashew Butter & Pure Vanilla Bean Chocolate Bar for the first time. It’s heaven I tell you! If you’re a milk chocolate fan, dark chocolate in the 70% range may seem bitter at first. In this case, you may wish to start with a cacoa content in the high 50% or low 60% range and work your way up. You may be surprised how quickly your tastebuds adapt. One of these days I want to serve a chocolate “board”－i.e., a dessert version of a cheese board. Wouldn’t that be fun? Alter Eco － There are so many interesting varieties to try, like Dark Salted Brown Butter and Salted Burnt Caramel. I love the classic Deep Dark Salted Chocolate (with or without almonds). There’s even a 90% cacao Deep Dark Super Blackout for diehards! Taza Chocolate － I worked my way up to truly savoring the 80% dark Sea Salt and Almond bar, which like the other Taza varieties, incorporates stoneground cacao for bold flavor with a hint of texture. Theo －Once again, my top pick here is the 70% Sea Salt Dark Chocolate bar, but the fruit lovers among us can rejoice over Theo’s orange and raspberry dark chocolate options. Favorite method for boiling eggs: Easy Peel Steamed Eggs (soft, medium, or hard) － Instant Pot not required and the shells slip right off! Favorite way to use an excess of hard boiled eggs: Prep-Ahead Open-Faced Egg Sandwiches are not your ordinary egg sandwich. The creamy, flavorful egg mixture can be made in advance for use throughout the week. Great for entertaining and holidays brunches, too! Favorite Easter candy: definitely the dark chocolate bunny (Do you bite the ears or tail first, by the way? I always ate the ears first.) For their favorite candy, many of my family members would argue between homemade peanut butter eggs and coconut cream eggs. First of all, why use a scale, and secondly, why this model? 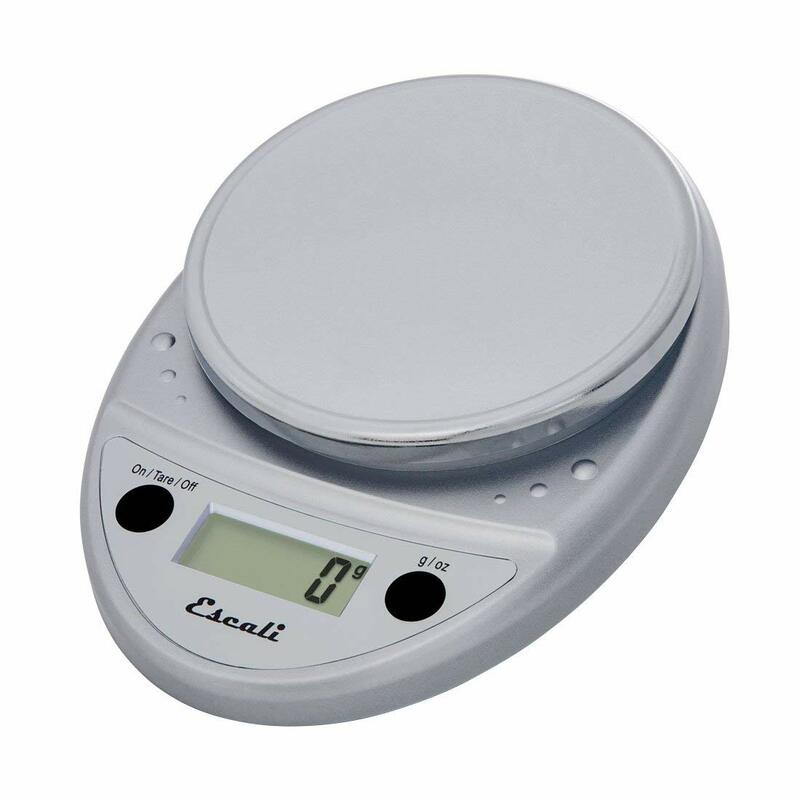 Accuracy and efficiency are the two main reasons to use a scale in the kitchen. For starters, a standard volumetric measuring cup isn’t accurate for compressible foods like flour. Depending on one’s method of scooping or sifting, one cup of flour can range between four and six ounces－a sizable 50% difference. With a scale, on the other hand, you know that one cup of flour is exactly the same ever single time, providing better, more consistent results. But there’s more! Think of all the messy foods like peanut butter and honey. With a scale, you can scoop the precise amount needed into the mixing bowl－no loss of ingredients because they’re stuck to the measuring cup and no gooey cups to wash.
Mixing a salad dressing suddenly takes no time because you simply pour the precise amount of vinegar, Dijon, honey, oil, etc. directly into a jar and shake. This dressing (try it as a mayo-free dressing on broccoli slaw/salad, too) and many, many others can be whipped up in a mere minute. Suddenly, these flavorful homemade components become really easy－which, in my book, means they’re enjoyed far more often. Why do I prefer THIS ⇩⇩ scale? I actually tested about seven different models several years ago and found that more expensive did not mean better. The batteries lasts a long time－and they’re basic AA batteries as opposed to the hard-to-find button types－and the first set of batteries is included. Last but certainly not least, there’s a convenient tare feature, which means you can zero out the weight and start over with the next ingredient. Similarly, a tablespoon of honey or maple syrup (20 grams) is heavier than a tablespoon of oil or coconut flour (14 and 7 grams, respectively). After our dog passed away last spring, I took fewer walks. My husband will walk with me, but he travels a lot. I decided that a captivating podcast might provide the encouragement I needed to more regularly log a few miles on my own. As a podcast newbie, I needed some solid recommendations. 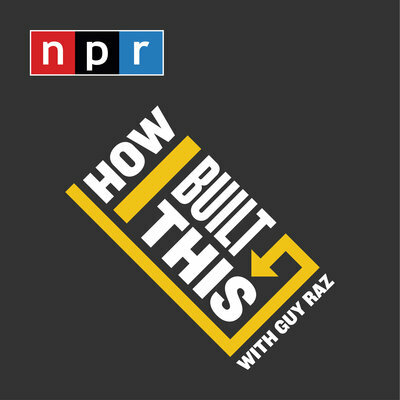 My older son suggested NPR’s How I Built This with Guy Raz, and I was instantly hooked. The interviews reveal the fascinating (and sometimes crazy, inspiring and unexpected) stories behind some of the best known companies. Each podcast is about an hour long and I found myself walking longer to finish an episode. There’s something for everyone. My favorites so far are the Airbnb and Ben & Jerry’s podcasts. Podcasts are also great entertainment when chopping and folding laundry, of course! 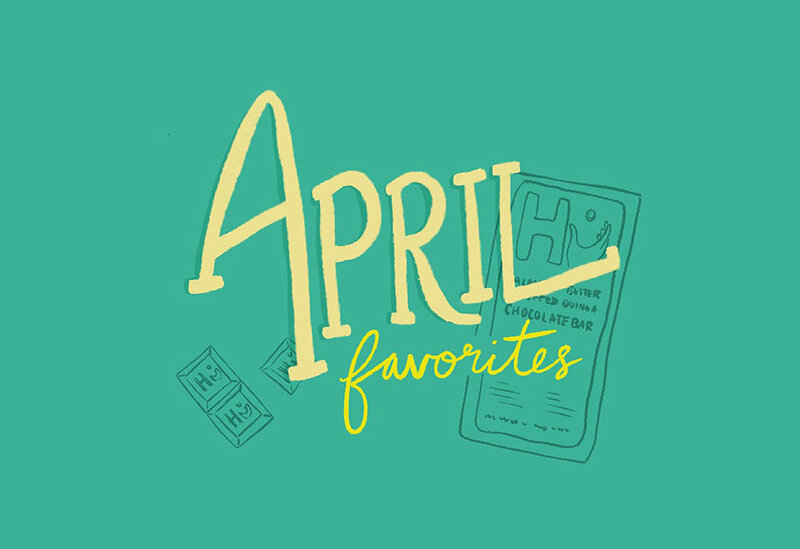 Do you have a favorite podcast? If so, please mention in the comments. Roast at 425℉ on the top rack for 15 minutes, check for doneness, adding a few extra minutes if needed and moving to a lower shelf if florets are already lightly charred. So simple and so good! 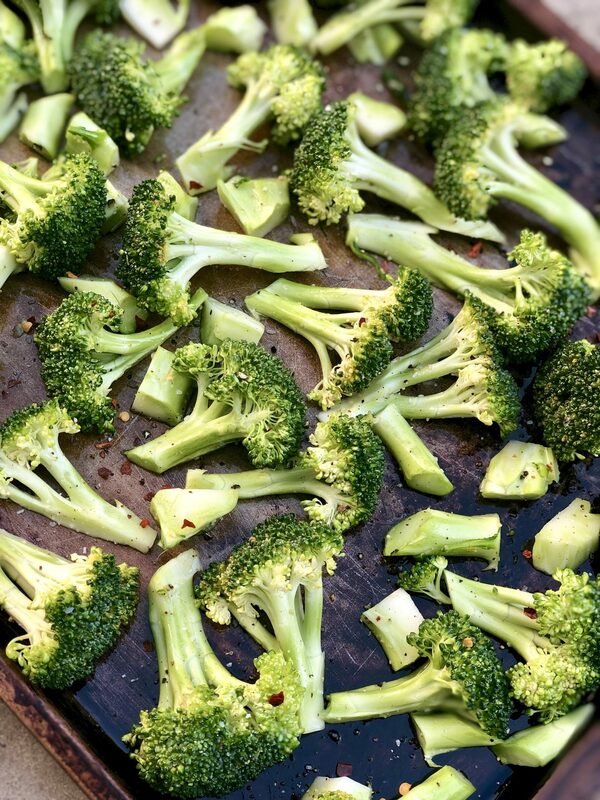 And then for a deliciously easy, healthy lunch salad: to a serving of leftover roasted broccoli (lightly warmed if desired), add baby spinach or mixed greens, 1/2 an avocado, chopped, and a generous sprinkle of salted sunflower or pumpkin seeds. Drizzle with Favorite Balsamic Vinaigrette (or your favorite store-bought balsamic). For a filling protein addition, I toss in some leftover chicken, salmon, a chopped hard boiled egg or white beans. 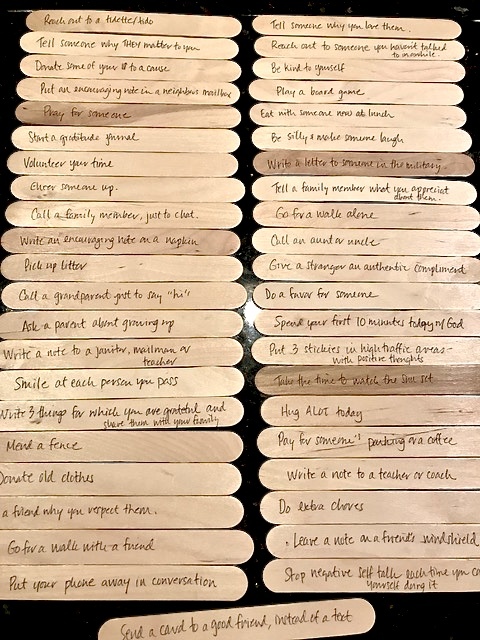 To inspire her family to consciously do good for others and not undervalue the little ways we can all help make someone’s day a little brighter, my friend started with popsicle sticks. On each stick, she wrote a good deed or task and placed them all in a jar in the kitchen. Every morning, someone pulls one from the jar. As I mentioned when I started this monthly feature, the list will be a little different each time. I don’t want it to be all about buying things, although that will figure in. As always, please feel free to weigh in with items and ideas that make your days easier, healthier, more fun, etc. I’m just finishing the most amazing book that I will absolutely recommend in May. In the meantime, I am looking for recommendations as to what to read next. Perhaps Michelle Obama’s Becoming…or All the Light We Cannot See by Anthony Doerr? Nice list and really like those popsicle stick day starters. Both of the books you mentioned are good reads, so you should try both! Leigh, Thank you for your comment and the book endorsements. I’ve also heard so many good things about Bad Blood recently. I need more time to read! Evans dark chocolate all the way! We are addicted to the almond bark. April fools? How about tinting all the foods in the lunch box green? I did that once, way back when my kids took thermoses of milk, home canned pears etc in their lunch boxes. Tinted everything green. they are now 43 and 4 and still haven’t forgiven me for “embarrassing “them. The Evans dark chocolate almond bark is fabulous, Jane! I’m laughing about tinting everything in the lunchbox green. Such fond memories. My son told me he loved the licorice jelly bean joke I mentioned － and that he could fully appreciate it because there was a backup snack! I’ve read two books that were wonderful, beautifully and intelligently written and impressive in storylines and plot: Ordinary Grace (William Kent Krueger) and The Storyteller’s Secret (Sejal Badani). I left my world and entered theirs, that’s how absorbing I felt they were. Getting completely absorbed by a book is the best, Maya. Thank you for mentioning your recommendations. I will add them to my list－as I’m sure others will! Me again Ann! Our book club read All the Light We Cannot See a couple years ago and I absolutely LOVED it! I am notorious for not finishing the books that are picked out so I am the official book club “slacker”. This book though was breathtaking! I have not yet read Michelle Obma’s book but I need to, or perhaps listen to audio version, especially if she is reading it. I am walking this afternoon and perhaps I will find the podcast you mentioned to listen to. I have yet to listen to a podcast! Hello again! I must add All the Light We Cannot See to my list. Another friend recently mentioned that was a very good read. Someone also told be that Michelle Obama’s book is a good one for those who enjoy audiobooks, as she narrates it and it’s easy to listen to. Yes, check out that podcast as you log your walking miles…and so happy you’re a scale fan, too! Hi Ann – Happy Saturday! 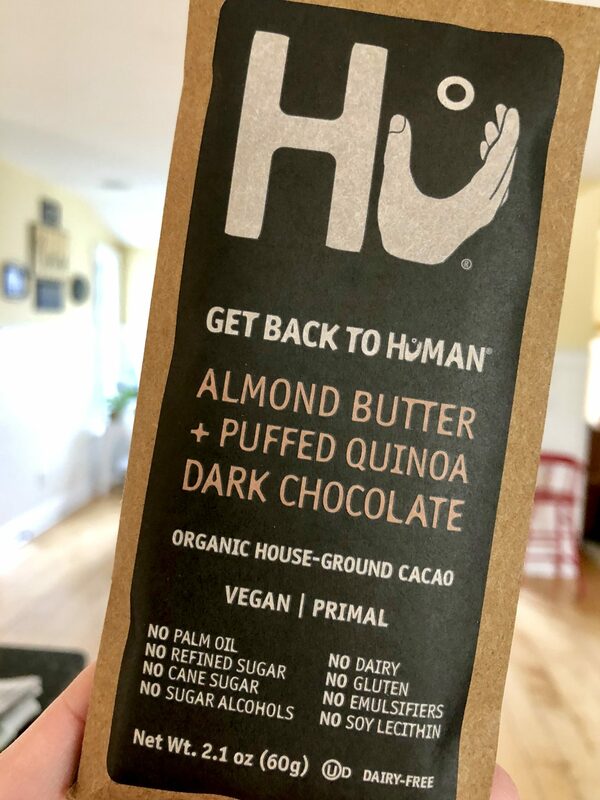 I tried the Hu chocolate bars – the ones with crisped quinoa. I took a bite and immediately thought I didn’t like it. It was different than other dark chocolate I’ve had. Then I chewed it slowly and by the end of the second square, I really liked it. Tastes decadent. Say Hi to Jack!